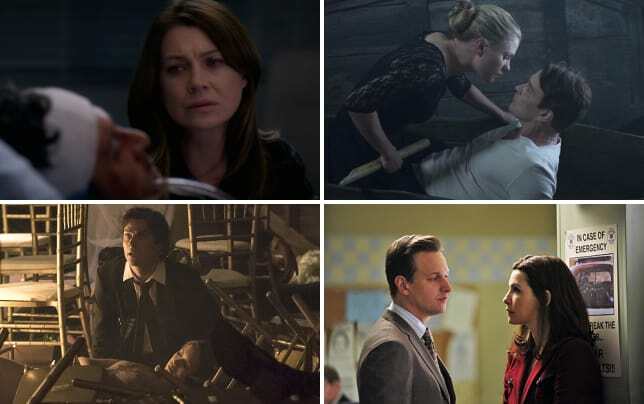 There were plenty of catch 22’s in The Good Wife Season 7 Episode 3 as Alicia found herself in the middle of an FBI sting operation, the tug-o-war between Howard Lyman and Lockhart Agos, and a debacle of a cooking show. I wish they had given Alicia and a drunken Veronica more time to bicker on that cooking show. It was certainly enough to get the message across to Ruth that she knows nothing about the inner workings of the Florrick family, but I expected that scene to be a lot more entertaining. As it was, the best part was when Veronica burst out laughing when Eli explained the concept to her. Howard Lyman sitting in Alicia’s living room was a surprise. I hope he didn’t say anything off color to Grace. I wouldn’t put it past him. On the upside, I love how blunt Alicia can be now that she’s not a part of a bigger firm. “You don’t do anything, Howard.” The Alicia who worked with him never would have said that to his face. But that one conversation came back to bite Alicia in the end. Ethically, she couldn’t say anything to Diane without breaking privilege and Diane was left to think the worst. I wonder if these two will ever mend fences. The thought of Howard and Jackie dating was a disturbing notion at first, but after seeing them together, I have to say it works. It even makes each of them a little more likable. Grace has gotten adept at her followup searches on clients. Actually calling his former school and references was a good catch on her part but also common sense enough that I believe she could do it. That said, I was a little bit disappointed we didn’t see more of Alicia’s new investigator, Jason Krause. The moment Alicia told Eli that the FBI’s sting was about the judge and not her or Peter, I knew that Eli would use that information to his advantage. Eli’s power comes from having the right people owe him one. Would the judge have taken the bribe otherwise? Who knows, but I’m glad he didn’t get arrested. He makes bond court a lot more fun. 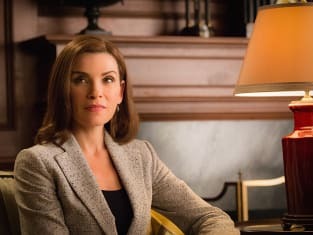 Check back later this week to see what our The Good Wife round table team has to say about this episode and next Sunday for our review of The Good Wife Season 7 Episode 4. If you can’t wait until then, you can watch The Good Wife online here at TV Fanatic.